Lot 104 Brass Oval Steam Locomotive Worksplate "A. 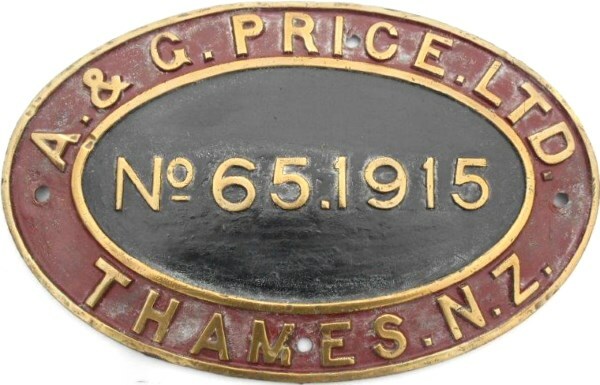 & G.PRICE LTD - No65.1915 - THAMES. N.Z.". Size 17" x 11". As removed condition.